Podcast brought to you by Radianstar.com Social Media Marketing Made Easy For Business And Bloggers. Facebook Group which goal is to generate Traffic and Engagement to the websites, social channels, blogs or businesses of the members of the group. 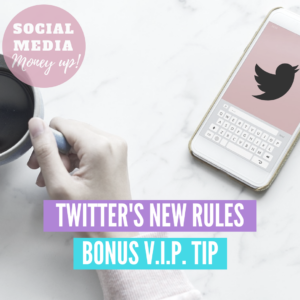 Hello and welcome to Episode 10 of Social Media Money Up. In this episode I will talk about Why it is important for you or your brand to have your own online community. My name is Angie Perez B, I’m a Social Media Marketing Strategist and you can find me on Twitter at @Angi9z and on Instagram at @AngiePerez.B. if you are new to this podcast, please consider subscribing. I record weekly podcast about the best techniques to grow your business or your blog and making money using social media and digital marketing. Today I’m going to explain Why Creating your own online Community is Important for your Business. Basically I am talking about Facebook, but it can be the same thing on any other social platform. Facebook is great in terms of building communities. That is the reason why facebook pages and facebook grousa re incredible popular this days. What is the ultimate purpose of you as a brand having a Facebook community? The answer is simple: having an audience for your message and building your own fans’ database (obvious). Therefore, if you decide your business needs to be on the social media arena, then you must strive to build your own community; in other words, you must be SOCIAL. The key element to build a solid and targeted community is this: VALUE. Value for your audience (not for you). So if you offer the content your target audience demands, they will be willing to become a member of your community. Users are continually looking for content they are interested in, and if your social channels offer the content your target audience demands, they will be willing to participate, engage and even become a member of your community. This is the reason why your brand must be where the content that is relevant for your potential clients is. Both concepts (community and relevant content) work in synergy creating a feedback between them: the more relevant content you have for one specific community, the more individuals will be interested in taking part in that community. My facebook group called the smart social income. Yes, I have a Facebook group and its called the smart social income and you are welcome to join. 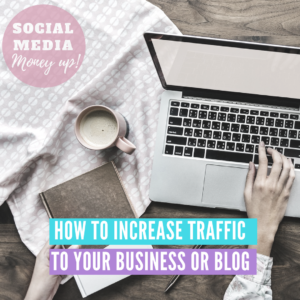 This group is for anyone that needs or wants to drive traffic to their blog, website, local business, and also to their social channels like instagram, youtube, pinterest, etc. Of course is a place to ask questions or share your stuff, or anything you want to promote. So, the final conclusion is that quality leads that convert can be built through putting your brand in front of your potential customers when quality and relevant content is delivered to your target audience. Bottom line; you offer content of value for your target audience (=people you want to attract) people will like what you offer, and they will come back for more. This is a long time game but a secure way to get quality leads that most likely will convert. If you want to learn social media techniques and make more $ using effective marketing strategies, go ahead and check my blog angieperesz.com with lot of useful stuff. Go to the freebies section to grab my free guides. See you in the next episode of Social Media Money Up! Happy Socializing! !